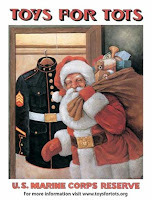 Once again Dennis Public Library is a drop off location for Toys for Tots. Please bring a new and unwrapped toy and drop it in the box in front of the Circulation Desk. Thank you for making the holidays a little brighter for a child in need!